The Way of The Sword: The fencing arts of Korea evolved for thousand of years reaching back as far as the bronze age. Modern day Korean fencing arts have many schools or kwans but they are all, generally called Kumdo. Kumdo evolved in Korea, after the occupation of Japan over this country and the WWII. Some assure that is nothing other than the Koreans copy of the art of Kendo; but historical facts tell us that while developing the Japanese fencing arts were highly influenced by the Korean knowledge of warfare and their Fencing Arts. Many Historians assure that the Japanese developed their fencing arts from the teachings of Korean swordsmen. New Age Martial Arts, and it's Alexandria institute teaches a Korean form of swordsmanship known as Jang Kum Sul, This art derived directly from the Moo Yeh Jee Bo the book of Korean Martial Arts by General, Han Kyo. Kumdo focuses in capitalizing over your opponent by all means possible. Ist a competitive art since it teaches a series of combinations and attacks that are to be used in a sparing Kumdo competition. It also teaches the use of the sword as a tool to dislocate the opponent’s upper extremities and attack all vital and pressure point of the body. Kumdo for Real Self Defense, all of the techniques taught within this curriculum can adapt to daily items that you can carry and use on the streets, such as an umbrella, or a cane. Although Kumdo’s primary use is not that of competition, through the training process the practitioner is taught the complete spectrum of Kumdo as a competitive sport, preparing him/her for the competition, but also learning about oneself. 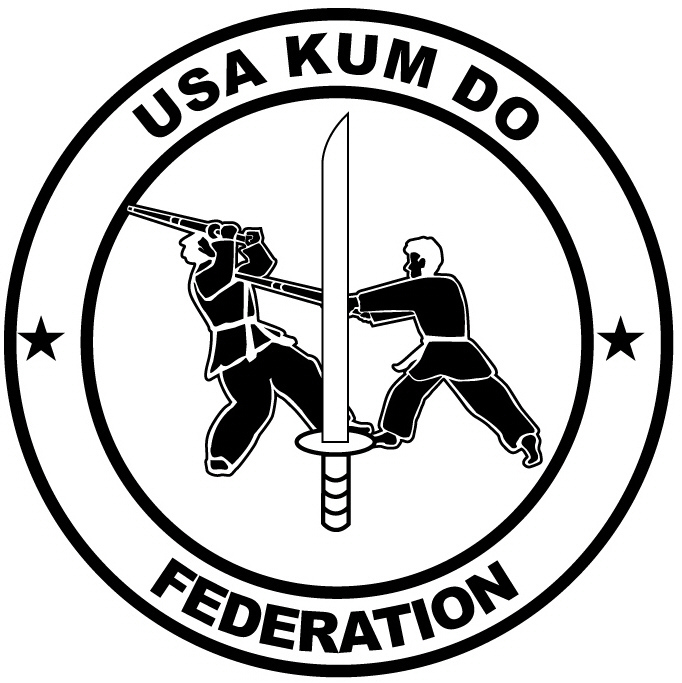 KUMDO, could easily be described as both traditional Japanese fencing or Iaido as well as Kumdo it combines both aspect of this arts and it implements the use of Hapkido defensive and offensive techniques, commonly known as Hoshin Sool. This combination makes Jang Kum Sul the most effective fencing arts to come out of Korea. To practice KUMDO you don't need to buy all the expensive equipment (Armor) that Kumdo requires until you reach a hire level in practice. For beginners, the only requirements are to bring an open mind, desire to learn and a wooden sword, a foam sword for safest practice and latter a bamboo sword. Now the practitioner graduates from Gup to Gup as in any Korean Martial Arts, but In kumdo the student also changes, Sword as he moves up in rank. It could be said that kumdo is the real way of the Warriors Fencing Art, most fencing Arts today focus only on the use of the sword and the competitive aspect of the system that for generations was consider a way of life now is viewed as a sport; with kumdo you learn that and mush more. All of the Techniques and forms of Jang Kum Sul have application in all sorts of real life scenarios. Our organization is interested in bringing this system of Defensive Fencing to the public just because of that Simple reason.Kumdo gives the Practitioner the opportunity to learn, Kumdo with a Hapkido twist. Kumdo is taught personally by Kwang Jang Nim; A. Garcia he has taught the fencing art for sometime only to his senior or special students of Hapkido and Taekwondo, but because of all of the changes our society has endure in the past few years he has decided that is necessary to make it available to the general public. KUMDO is a Deadly Martial Arts with live sword and is taught to children with safety in mind, highthenned awarenes, still Kwang Jang Nim; A. Garcia, acknowledges the benefits that Kumdo has for children and has developed a curriculum with those safety aspects in mind and can be be taught in any School he teaches basic fencing and focuses on the development of motor coordination that only fencing arts give a child. The Children enjoy the class because they get to play and develop their skills in an environment of safety and they can gain the knowledge and all of the physical and philosophical advantages that Kumdo Has. During the summers Kwang Jang Nim; A. Garcia Conduct The Training Camps for children. These camps can be open to practitioners of all arts (Ages 5 to 12), and emphasizes Kumdo training for children. Mastery of Jang Kum Sul is not only limited to physical mastery of this art there are three levels to be mastered by the practitioner of Kumdo, they are Physical Mastery, Mental Mastery and Spiritual Balance. Contrary to it Japanese counter parts that views the sword as an extension of the soul; a Kumdo master sees the Sword as a weapon of war and its uses. GO TO THE WELCOME PAGE ON THIS SITE AND REGISTER FOR A FREE VISIT WITH GRANDMASTER GARCIA.